The latest novel in the Brooklyn Homicide Investigations will be out August 24 in paperback, Kindle, Nook, and other digital formats. Click Here to pre-order your copy of BROOKLYN HEAT now! OUT NOW For KINDLE Only $2.99! That’s right! ALL THE WAY GONE, the first in the BROOKLYN HOMICIDE INVESTIGATION series is out now as an e-book, available for the KINDLE (you can also download a Kindle App for your smartphone – iPhone, Andriod, etc. – and the iPad). There is a FREE sample of the first 30 pages, which are sure to pull you in and leave you wanting more. And for $2.99 you can have more – you can own the entire novel, hours of great reading, delivered to your Kindle in under a minute! Hurry – Get Yours Today! Click Here to go to the Amazon page, see what others are saying about ALL THE WAY GONE and start reading it NOW! And, for the tech savvy, it is also available in other formats at Smashwords.com. Click Here for all digital formats. ALL THE WAY GONE back in stock on AMAZON! Imagine you go for a run with your wife, along the way you separate. In the end you wait, but she never arrives. You retrace your steps. Finally you stop a passing police car and are suddenly thrust into a world where everything you thought you knew about yourself was wrong, and the lies you had been living have caught up to you. Do you deny the truth or lose yourself to your demons? This is Jack Turner’s nightmare. This is All The Way Gone. With the police suspecting him, Turner tries hard to deny the truth about who he is, but learns you can never outrun yourself. The story turns when a series of seemingly unconnected events unfold. Things become complicated as the two detectives assigned to the case begin following different threads, leading them in opposite directions. Can these men, who’ve worked together for years, resolve their differences and come together to solve the case? Is Jack Turner involved in his wife’s disappearance? More importantly, will they find her in time? All The Way Gone – a new twist on the crime novel, tells it’s story through realistic, hard-bitten dialogue. It’s a pull-no-punches tale of denial and deceit, but also one of friendship and trust. A human story wrapped up in a classic crime tale. It will hold your attention from the first page to the last. You won’t be able to put it down. All The Way Gone is an all the way great read. AMAZON.COM SELLS OUT of ALL THE WAY GONE! 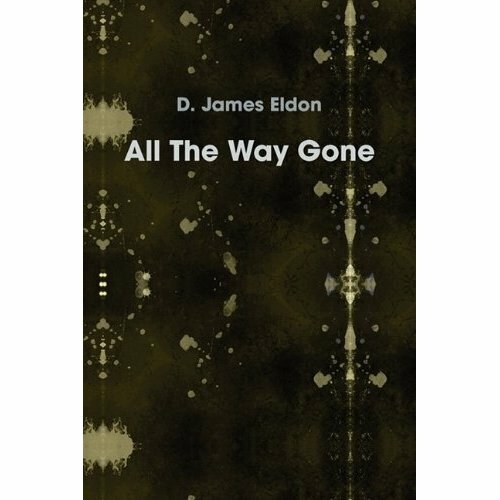 ALL THE WAY GONE is so popular that Amazon has sold out of their copies. They will be getting more soon. THANKS TO EVERYONE for making the book such a smash! READ THE BOOK THAT’S SO POPULAR, AMAZON.COM has SOLD OUT!!!! Imagine you go for a run with your wife along the way you separate. In the end you wait, but she never arrives. You retrace your steps. Finally you stop a passing police car and are suddenly thrust into a world where everything you thought you knew about yourself was wrong, and the lies you had been living have caught up to you. Do you deny the truth or lose yourself to your demons?